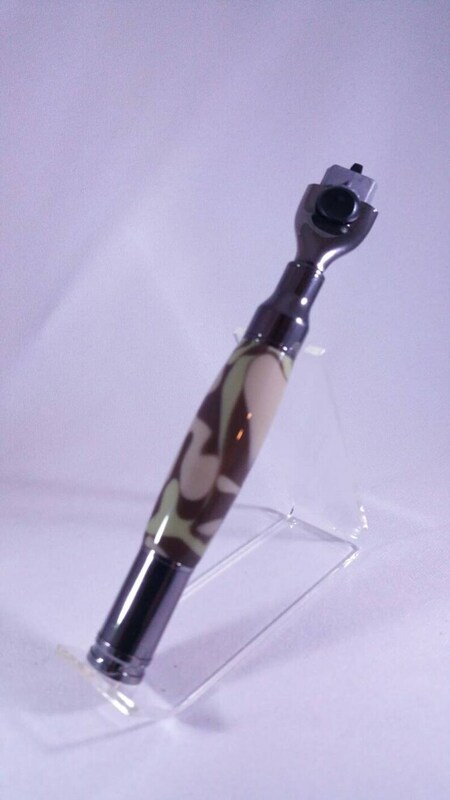 Custom made Mach 3 Bullet razor handle with desert camo acrylic body and gun metal finish. Includes slide out gift box for easy gift giving. Razor head is NOT included. Approximately 5 inches long. NH Made has no sales tax. Item #19.